Lara Iglitzin has been Executive Director of the Foundation since 1995. Arriving at the Foundation in 1992 as a Program Officer, she developed the Foundation’s human rights program in Russia. Lara did her undergraduate work at the University of Washington in Russian and East European Studies and received Master’s degrees in Russian History and Russian Studies, from the University of Pennsylvania and Georgetown University respectively. She specialized in U.S.-Soviet relations and early 20th century political history. Her Master’s thesis was dedicated to the impact of the Jackson-Vanik Amendment on Soviet foreign policy. Prior to her work at the Foundation, Lara managed the Congressional Roundtable on U.S.-Soviet Relations in Washington, D.C. She is active in the national grantmaking community, having helped to establish the group Philanthropy for Active Civic Engagement, serving as board president for three years. She was integral to the creation of the International Human Rights Funders Group. Lara has published a dozen articles in national and regional publications on Russian politics and human rights. Carol joined the Foundation part-time in July 2013. Her responsibilities include strategic communications and leading the Henry M. Jackson Leadership Fellows Program and the Jackson Fellows Network. 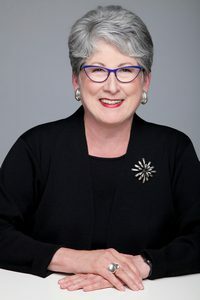 Prior to joining the Foundation, Carol was president and founder of the Foundation for Russian-American Economic Cooperation (FRAEC) a nonprofit organization that for 22 years advanced U.S.-Russia business and community relations. Carol also had a successful career as a consultant and public speaker conducting training courses in marketing, customer service and sales for organizations throughout the U.S., Canada and Europe. 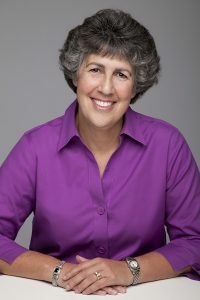 She is the author of two books – Marketing Your Service and Professional Selling, both published by Self-Counsel Press. Carol continues to consult part-time for nonprofit organizations. She has a B.A. from the University of Washington in Far Eastern and Slavic Studies, with an emphasis on Russia. Maura joined the Foundation in August, 2013. Her responsibilities include supporting the Foundation’s program and grant making process. 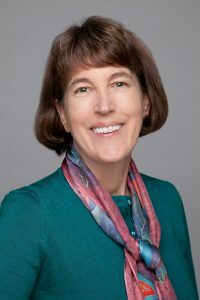 Maura earned master’s degrees from the University of Washington’s Jackson School of International Studies and the Evans School of Public Affairs. Her previous work experience includes county-level government auditing and serving as legislative fiscal staff. Gretchen joined the Foundation in July 2017. Her responsibilities include the Foundation’s budgeting and fiscal management, operations management, and coordinating and managing the many events that the Foundation is involved in throughout the year. 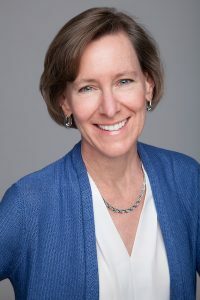 Gretchen’s background includes operations and finance consulting for local environmental non-profits and developing and leading citizen science efforts to monitor the health of Puget Sound’s coastal areas. Gretchen’s earned her bachelor’s degree in Russian and East European Studies from the Jackson School of International Studies and her Master’s degree in Marine and Estuarine Science from Western Washington University.